San Gerardo de Dota is a hidden treasure high above the clouds in Costa Rica. This area shares a very similar weather pattern as the better known, Monteverde Cloud forest – but without the crowds! Year round there is great birding, hiking and site seeing opportunities awaiting in this pristine mountain valley. 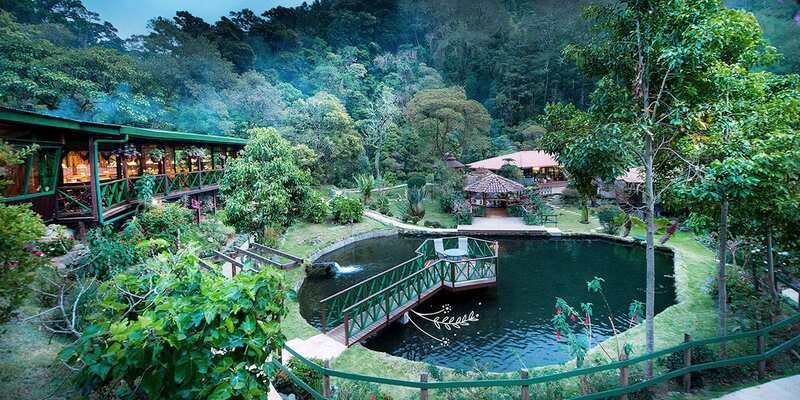 Come visit this undiscovered paradise and stay at one of these recommended hotels in San Gerardo de Dota Costa Rica. The petite town of San Gerardo de Dota. Also, called Shangri-La is one of the most picturesque of Costa Rica. It has a great selection of Hotels and Lodges to choose from. You will be happy to find the shy Quetzal or many other birds in this region. San Gerardo is known as one of the best birding destinations in all of Costa Rica. Nothing like waking up to the sound of a natural alarm clock. All in all when visiting here make sure, to let us help to find a great hotel for you.